Chairman of the Estonian Center Party Edgar Savisaar posted a letter in the party's internal mailing list on Wednesday in which he ruled out the possibility of becoming honorary chairman of the party. The Narva chapter of the Center Party on Friday named Kadri Simson, deputy chairman of the party, as its candidate for chairman of the party and Edgar Savisaar as candidate for honorary chairman. 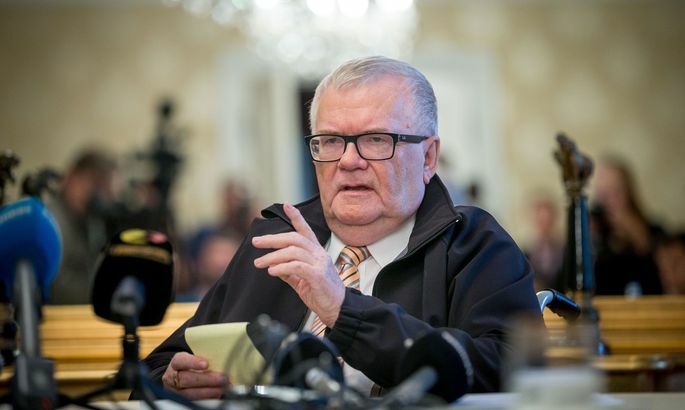 In his response to a letter by the chairman of the Narva chapter, Andrus Tamm, Savisaar said he respects the right of every region to nominate the candidates it considers to be the most appropriate. «Yes, I've heard that in return for nominating Simson the chairman of the Narva chapter was offered a position in Tallinn, on the board of the Center Party,» Savisaar said. He also alleged that the nomination of Simson by the Narva chapter was an act of vengeance by Mihhail Stalnuhhin «for placing Yana Toom as the number one candidate in East-Viru county,» where Narva is the biggest city. «I do not regard either of this as believable, but it doesn't matter. The decision at the congress will be made by the delegates themselves, and they are free to make their choice. When the board of the chapter represents its members, it's good. But if there is a variance, people can vote as they feel in their hearts. On the day of the congress no barters will be valid anyway,» Savisaar said in his post. A congress of Center, the biggest opposition party of Estonia, is scheduled to vote on the party's leader and governing bodies on Nov. 29. The candidates for party leader are incumbent Edgar Savisaar and deputy chairman of the party Kadri Simson.